Inboden’s Meats Ltd. began in 1962 as Inboden’s Supperette. It’s proprietors were Ocie and Leona Inboden, who opened with a cash capital of $21.00, and notes and guarantees due on inventory and equipment. By following the original standards of quality and customer service set forth in 1962, Inboden’s has grown to be a leading provider of quality meats. Ocie O. Inboden was a pioneer in the concept of sub-primal boxed beef. In 1965, Inboden’s Supperette served several large packing companies as a marketing test and survey station. The test was to gauge consumer reaction to disassembled and vacuum-packaged meat products, which is now the industry-standard packaging method. In 1970, Inboden’s Supperette came under the supervision of the State of Illinois Department of Agriculture, Livestock, Meat and Poultry Inspection Division. Inboden’s Supperette is one of the few retail/wholesale meat markets that are inspected by both the Illinois department of Agriculture, and the USDA, allowing a unique level of safety and quality assurance. As business grew, Inboden’s Supperette became known through word-of-mouth advertising as the best quality meat house in DeKalb County. 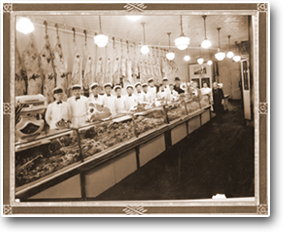 Through the years, Inboden’s Supperette concentrated on high-quality beef, pork, lamb and fresh sausage products. In 1972, Tom Inboden joined his parents as a working partner after serving in the U.S. Army. In 1975, Tom Inboden began to concentrate on the Hotel/Restaurant/Institutional segment of the industry, and promoted the concept of the quality meat retail business as the backbone of the company. Throughout its history, Inboden’s Supperette has run on the philosophy that “service sells.” because of its reputation for excellent customer service and high-quality products. Inboden’s continued to grow, and, in 1978, the company was incorporated and became Inboden’s Meats Limited. 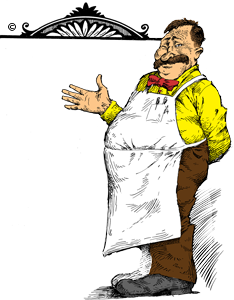 business grew, Inboden’s Supperette became known through word-of-mouth advertising as the best quality meat house in DeKalb County. The Board of Directors consisted of: Ocie O. Inboden, President, Leona M. Inboden, Vice-President, and Thomas K. Inboden, Secretary/Treasurer. When Ocie O. Inboden passed on, his son Thomas took charge of all corporate responsibilities with Leona Inboden as partner and office manager. When Leona Inboden passed away in 1990, Thomas Inboden became the sole owner of Inboden’s Meats, Ltd. He was later joined by his wife Ingrid Inboden. 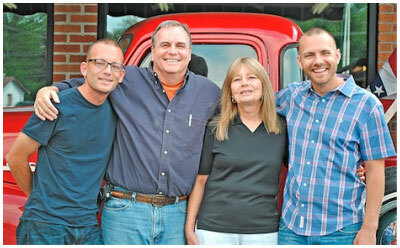 Their sons Joseph, Nathan and Dusty Inboden form the third generation of this family-owned business. Inboden’s Meats LTD is a member in good standing with the Illinois Association of Meat Processors. Joe Inboden is currently on the board of Directors. Thomas Inboden is a Past President of the Illinois Association of Meat Processors. Tom is also Past President of the American Association of Meat Processors, AAMP, which is the largest meat industry trade group in North America, headquartered in Elizabethtown, Pennsylvania Tom Inboden is an active Rotarian, a Paul Harris Fellow and past President of the DeKalb Illinois Rotary Club. In addition the members of the Inboden family has served on many community civic service boards and livestock producers associations, community volunteer groups. Inboden Meats has been the recipient of numerous awards and has been recognized by the University of Illinois Department of Meats Science. The Sletter Bull award. In 2008 Inbodens received Business of the year from the DeKalb chamber of Commerce. Inboden’s still strives to meet the exacting quality and integrity standards set in 1962 by the company’s founders, Ocie and Leona Inboden.